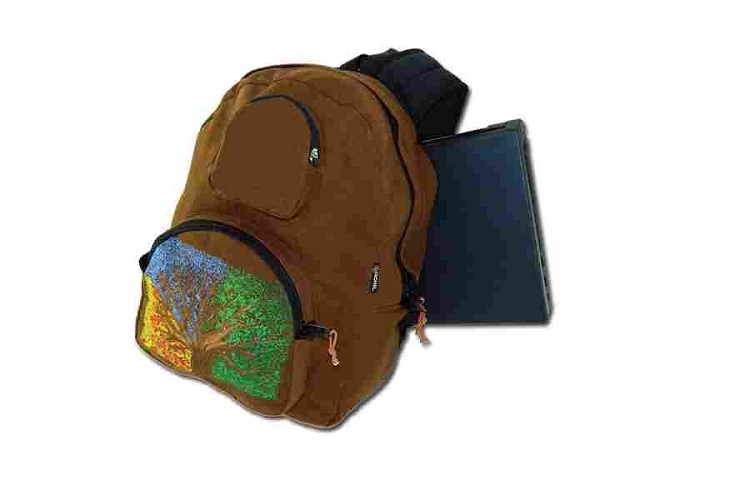 This tree of life large daypack (1700 cu. in.) is made of super tough denim, heavily re-enforced with durable inner liners, laptop sleeve pocket on the side, inside organizer, media pocket on strap hold a smartphone, and a super concealed secret stash pocket. 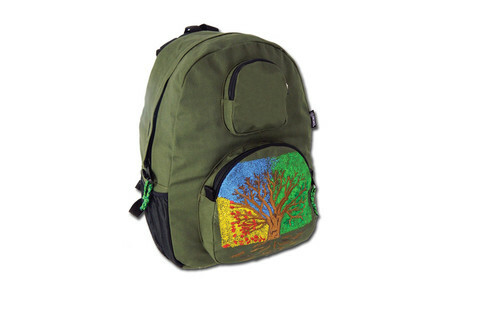 Available in Olive Green or Café.